Healthcare workers must keep all tools that come into contact with patients clean of any potential germs, blood or other infectious liquids to ensure patient safety. Additionally, power supply units for medical electrical equipment used throughout healthcare facilities must be certified to meet IEC 60601-1 specifications. Complying with these standards can be complex and costly. Constructed using durable, disinfectant-ready materials, a GK420 Healthcare printer can withstand regular cleaning with harsh chemicals over the course of its lifetime. Designed with a medical-grade power supply that meets IEC 60601-1 standards, these printers protect patient and staff safety by reducing the risk of electrical shock. Now, healthcare professionals can print labels and wristbands anywhere in a healthcare facility. 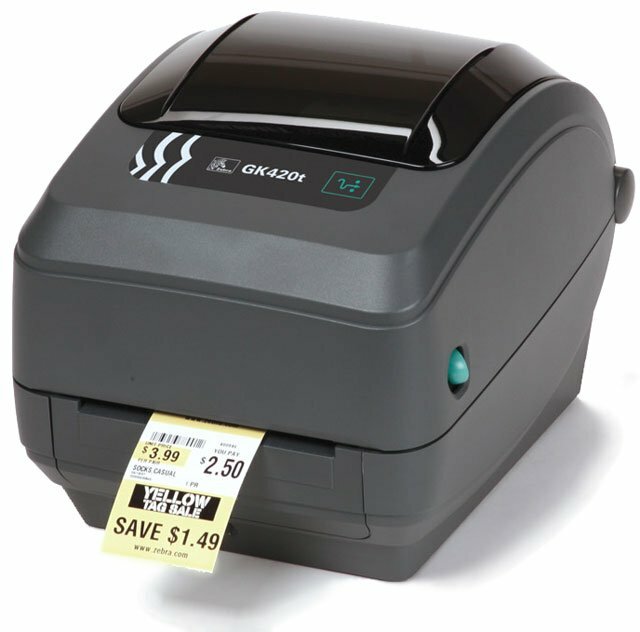 Building on the GK420’s proven reputation for reliable printing in space-constrained environments, the 4-inch GK420 Healthcare printer offers advanced connectivity options and the easiest ribbon-loading system available. The GK420 Healthcare printer is available in both direct thermal and thermal transfer models to meet the needs of a variety of healthcare applications. As an ENERGY STAR qualified printer, the GK420 Healthcare product reduces operational costs. Like many of Zebra’s healthcare solutions, GK420 Healthcare printers are certified and recommended by all of the leading Electronic Health Records (EHR) providers.